Chris Pixley is a 2002 graduate of the University of Arkansas Department of Biological and Agricultural Engineering with a B.S. degree in Biological Engineering. He is also a 2013 graduate of the University Of Arkansas Department Of Poultry Science with a Ph.D. Upon graduation in 2002 he worked as a Program Technician in UA Division of Agriculture’s JKS Poultry Health Laboratory overseeing the research laboratory activitie. In 2005 Mr. Pixley went to work for Sigrah-Zellet LLC Fayetteville, as the director of Product Development. He developed and maintained production procedures related to lactic acid bacterial fermentation Manage product development and manufacturing of various animal health products. In 2006 he was promoted to Vice President of Production and managed product development and manufacturing. He coordinated product sales and technical support activities. He accomplished the successful completion of the acquisition of Sigrah-Zellet by Pacific Vet Group (PVG) in August 2008. 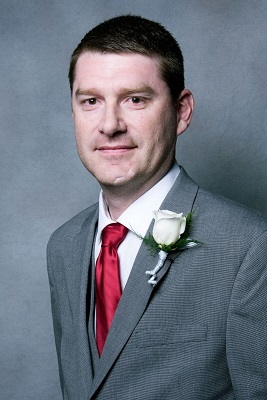 In 2008 Mr. Pixley became the Vice President of Operations for PVG, Inc. Fayetteville, AR. He was responsible for coordination and establishment of local manufacturing capabilities in Buenos Aires-Argentina, Douliu City-Taiwan, Cuernavaca-Mexico and Surabaya-Indonesia, and international and domestic technical support duties through late 2012. He oversaw the design and construction of a 13,000 square foot solid state fermentation facility to produce Bacillus Direct Fed Microbials, and was a key contributor during the rapid growth of Pacific Vet Group (18 fold increase in revenues from 2009 to 2014). He was responsible for creating and implementing the PVG R&D, Quality, and Process Development groups, which consist of a staff of four Ph.D. scientists, a masters level scientist/quality specialist, and two technicians, and overseeing the establishment and equipping of quality control, process development, and R&D laboratories. Dr. Pixley is responsible for managing and leading the daily operations of PVG, managing the collaborative manufacturing efforts of PVG with four industry partner companies, collaborating with two industry partner companies to develop products that will be sold and marketed by those organizations, leading a project to design, fund, and implement the development of a campus for Pacific Vet Group that will include R&D laboratories, R&D poultry research facilities, process development laboratories, quality control laboratories, manufacturing facilities, warehousing, and administrative facilities (a multiple phase project with an estimated budget of $15-20 million dollars).